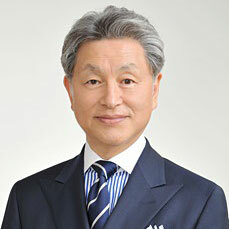 Kuni Tanaka is the Executive Director of the Japan Marching Band Association, which is a General Official Corporation. He is also an official marching band instructor licensed by the Association. He entered P.L. Gakuen High School in 1973 and started his career of marching band activities in its marching band club. He performed as the drum major in the 4th All-Japan Marching Band Contest in 1977 which won the gold medal. He obtained the official instructor license from the Japan Marching Band Association in 1978. He graduated from Musashino Music University in 1981 and started to work as a music instructor of P.L. Gakuen High School and at the same time he became a director of marching band group of P.L. Gakuen. During seven years of his assignment, until 1987, the group obtained the Gran Prix Award three times and the Gold Medal Award in the All-Japan Championship four times. He served as a marching band director of Sogo Keibi Hosyo Girls Guard of Honor (Vivace) from 1987 to 2013 and directed marching bands as a free instructor for National Physical Championship, National Plantation Festival, and Inter-High School Championships.